A 17-year-old male soccer player presented with numbness in the upper- and lower-left extremities of 6 months duration. He had no apparent history of trauma but experienced neck pain during heading of the ball 5 years prior. A high-signal intensity area was seen on T2-weighted magnetic resonance imaging (MRI) of the cervical spine. No muscle weakness was observed. Hypoesthesia was observed in bilateral forearms, hands, and extremities below the inguinal region. Plain radiographs in the neutral position showed local kyphosis at C3/4. A small protrusion of the C3/4 disk was observed on T1-weighted MRI. A high-signal area in the spinal cord at the C3/4 level was observed on T2-weighted MRI, but this was not enhanced by gadolinium. Multiple sclerosis, intramedullary spinal cord tumor, sarcoidosis and malignant lymphoma, and spinal cord injury were all considered in the differential diagnosis. However, in view of the clinical, laboratory, and radiological investigations, we concluded that repeated impacts to the neck caused by heading of the ball during soccer induced a chronic, minor spinal cord injury. This contributed to the high-signal intensity change of the spinal cord in T2-weighted MRI. The present case demonstrates that repeated impact may cause chronic spinal cord injury. Soccer, American football, or rugby players presenting with neck or extremity symptoms should not be overlooked for the possibility of latent spinal cord injury, as this could present later development of more severe or unrecoverable spinal cord injuries. 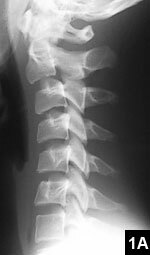 Spinal cord injuries are usually accompanied by acute unstable injuries of the spinal column. This article presents a rare case without apparent trauma history in which repeated heading of the ball when playing soccer was considered to be the cause of cervical spinal cord injury. A 17-year-old male soccer player presented with no apparent history of trauma but with neck pain during heading of the ball 5 years earlier. He had numbness in the lower left extremity of 6 months duration. One month earlier, the numbness increased and he also began feeling numb in the upper left and lower right extremities. A high-signal intensity area showed on T2-weighted magnetic resonance imaging (MRI) of the cervical spine. There was normal function of the cervical spine. No muscle weakness was observed. Hypoesthesia was observed in bilateral forearms, hands, and extremities below the inguinal region. Deep tendon reflexes of the bilateral upper extremities were normal, but the bilateral patella tendon reflex and Achilles tendon reflex were hyper. Hoffmanns sign, Barres sign, Babinskis sign, and ankle clonus were negative. Romberg sign was negative. One-leg standing was possible and stable. Plain radiographs in the neutral position showed local kyphosis at C3/4 and the disappearance of cervical spinal lordosis. In extension, the local kyphosis disappeared and lordosis was observed (Figure 1). 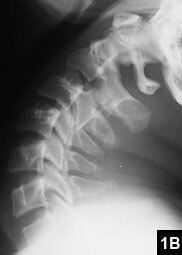 Figure 1: In the neutral position, local kyphosis at C3/4 was observed and the disappearance of cervical spinal lordosis was not observed on the plain lateral radiograph(A). In the extension position, local kyphosis at C3/4 disappeared and lordosis was observed on the plain lateral radiograph (B). A small protrusion of the C3/4 disk was observed on T1-weighted MRI. A high-signal area in the spinal cord at the C3/4 level was observed on T2-weighted MRI, but this was not enhanced by gadolinium (Figure 2). Figure 2: Small protrusion of the C3/4 disk was observed on T1-weighted MRI (A). On T2-weighted MRI, a high-signal area in the spinal cord at the C3/4 level was observed (B). The high-signal area observed on T2-weighted MRI was not enhanced by gadolinium (C). Multiple sclerosis, intramedullary spinal cord tumor, sarcoidosis and malignant lymphoma, and spinal cord injury were all considered in the differential diagnosis. For multiple sclerosis, the brain, thoracic spine, and lumbar spine were examined and no abnormal findings were observed. Multiple clinical symptoms including optical symptoms were not observed. The cerebrospinal fluid revealed that cell count, and protein, and sugar levels were within the normal range. The oligoclonal band was not detected. Therefore, multiple sclerosis was excluded from the diagnosis. For intramedullary spinal cord tumor, the margin was unclear and the lesion was not enhanced by gadolinium MRI. Thus, intramedullary spinal cord tumor was not considered further. For sarcoidosis, MRI showed no swelling of the spinal cord or low-signal area in high- signal area on T2-weighted MRI. Chest radiograph and chest computed tomography (CT) showed no swelling of the lymph nodes. The blood angiotensin-converting enzyme level was within the normal range. Sarcoidosis was therefore excluded from the diagnosis. For malignant lymphoma, the serum IL-2 receptor and β2-microglobulin levels were normal, as was the cell count for the cerebra-spinal fluid. Malignant lymphoma was thus excluded from the diagnosis. Initially, because of the patients young age and the absence of trauma history, spinal cord injury was barely considered. However, in view of the clinical, laboratory, and radiological investigations mentioned above, it was concluded that repeated impacts to the neck caused by heading of the ball during soccer games induced a chronic, minor spinal cord injury. Sporting activity is a major cause of head and cervical spinal cord injury.1,2 The major concern with cervical spinal injury is that fracture and dislocation may lead to quadriplegia. Cantu3 described 4 types of mechanism for spinal injury. While most attention has been focused on unstable spinal injury, repetitive minor trauma may lead to chronic spinal cord injury. Barnes et al8 reported that concussion due to collision with another player could influence brain injuries. Tysvaer and Løchen9 reported that repeated trauma from heading the ball resulted in permanent organic brain damage. Other reports have also suggested that collision or heading the ball can cause damage to the central nervous system.4,10 Collision or heading the ball may simultaneously impact and cause damage to the cervical spinal cord as well as to the brain. There was no apparent history of trauma in the present case, with the initial differential diagnosis being multiple sclerosis, intramedullary spinal cord tumor, sarcoidosis, and malignant lymphoma. These were subsequently considered negative based upon clinical, radiological, and laboratory examinations. Mintz11 reported impingement of the spinal cord by a protruding disk and abnormal spinal cord signal on T2-weighted MRI in an athlete. Our case also had a small protrusion and local kyphosis at the C3/4 disk level. Similar to the cause reported by Mintz,11 this may have led to impingement of the spinal cord and caused spinal cord injury and a high-signal area at the C3/4 level on T2-weighted MRI. The spinal cord injury became progressively more severe and the numbness that began in the left lower extremity then spread bilaterally to the upper and lower extremities. If his spinal cord injury had been overlooked and a strong impact applied to his neck, he may have sustained severe and unrecoverable spinal cord injury. The present case indicated that repeated impact might cause chronic spinal cord injury. Soccer, American football, or rugby players presenting with neck or extremity symptoms should not be overlooked for possibility of latent spinal cord injury, as this could present later development of more severe or unrecoverable spinal cord injuries. Proctor MR, Cantu RC. Head and neck injuries in young athletes. Clin Sports Med . 2000; 19(4): 693-715. Chao S, Pacella MJ, Torg JS. The pathomechanics, pathophysiology and prevention of cervical spinal cord and brachial plexus injuries in athletics. Sports Med . 2010; 40(1):59-75. Cantu RC. Head and spine injuries in youth sports. Clin Sports Med . 1995; 14(3):517-532. Matser JT, Kessels AGH, Jordan BD, Lezak MD, Troost J. Chronic traumatic brain injury in professional soccer players. Neurology . 1998; 51(3):791-796. Nilsson S, Roaas A. Soccer injuries in adolescents. Am J Sports Med . 1978; 6(6):358-361. Hoff GL, Martin TA. Outdoor soccer and indoor soccer: Injuries among youth players. Am J Sports Med . 1986; 14(3):231-233. Schmidt-Olsen S, Bünemann LK, Lade V, Brassøe JO. Soccer injuries of youth. Brit J Sports Med . 1985; 19(3):161-164. Barnes BC, Cooper L, Kirkendall DT, et al. Concussion history in elite male and female soccer players. Am J Sports Med . 1998; 26(3):433-438. Tysvaer AT, Løchen EA. Soccer injuries to the brain. A neuropsychologic study of former soccer players. Am J Sports Med . 1991; 19(1):56-60. Master JT, Kessels AGH, Lezak MD, Troost J. A dose-response relation of headers and concussions with cognitive impairment in professional soccer players. J Clin Exp Neuropsychol . 2001; 23(6):770-774. Mintz DN. Magnetic resonance imaging of sports injuries to the cervical spine. Seminars in Musculoskeletal Radiology. Semin Musculoskelet Radiol . 2004; 8(1):99-110. Drs Kato and Taguchi are from the Department of Orthopedic Surgery, Yamaguchi University Graduate School of Medicine; and Dr Koga is from the Department of Neurology and Clinical Neuroscience, Yamaguchi University Graduate School of Medicine, Yamaguchi, Japan. Drs Kato, Koga, and Taguchi have no relevant financial relationships to disclose. Correspondence should be addressed to: Yoshihiko Kato, MD, Department of Orthopedic Surgery, Yamaguchi University Graduate School of Medicine, 1-1-1, Minami-Kogushi, Ube, Yamaguchi, Japan, 755-8505 (kato-yo@yamaguchi-u.ac.jp).